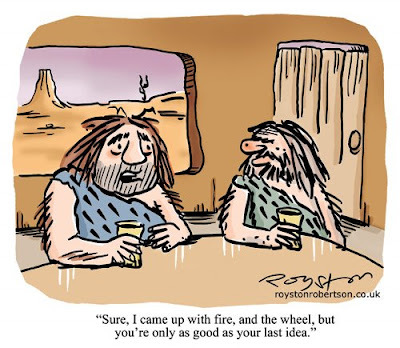 The phrase "you're only as good as your last idea" certainly applies to cartooning! It's something I often think to myself, usually when facing a blank piece of paper and struggling to come up with fresh ideas for gags. In this case the phrase became a gag itself, one which can be seen on the letters page of February's Prospect magazine. 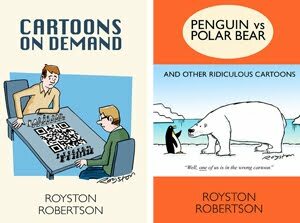 excellent one royston -- definitely a cartoonists' cartoon!